I’ve always liked grandmothers, so when I found that C.W. had assumed the shape of a SLOL and was sitting in my living room knitting, I couldn’t help smiling. “Sit down child,” she said. I did as she told me. 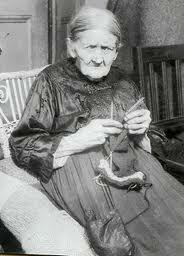 Her hands flashed as the knitting needs clicked against one another. She didn’t say anything. “Nice morning,” I said. “See we had some rain last night. “All things come in their own time,” she said. I almost spilled my coffee. As the modern mystery books say, I sat in stunned silence. “Pigmentation preoccupation and such.” Her fingers flashed with silent fury. “Yes?” She was beginning to make me feel warm inside.